Great stuff, Lisa. Thanks for sharing. 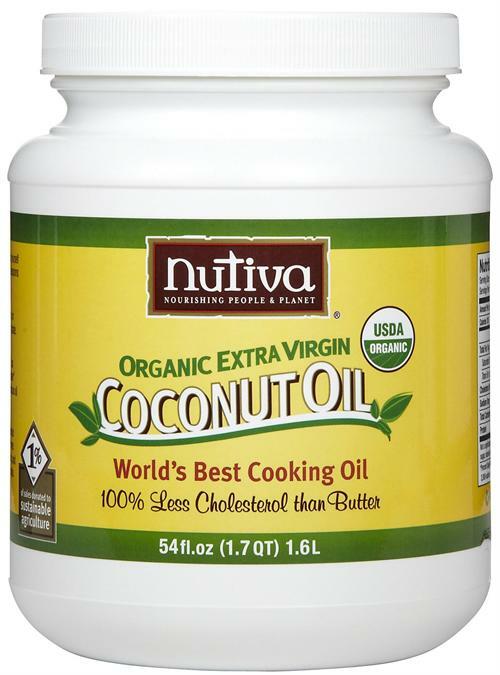 We use a lot of coconut oil and coconut milk in food prep. What do you think about the Colorectal Recovery program that gutsense.org offers? I’ve had such good luck with it, but it’s obviously not something I want to have to be on forever. Thanks for your teaching in this area! Are you still having trouble? For total gut health, I would definitely start using this as a supplement, starting slowing to avoid intense detox symptoms, as well as supplementing with cod liver oil. And then yes, some natural probiotics … milk kefir, water kefir (I’m in the process of getting some water kefir grains), fermented veggies, etc. I’m not sure what the GutSense program is, but I’m glad it’s helping! Keep me updated on your recovery! Yeah, it’s crazy. I might try this out. Thanks for the recommendation! gutsense.org is the Fiber Menace guy. Pretty good stuff. Oh yes, I knew it was that guy but I can’t remember what he recommends. We need to get this figured out! I want you to be feeling tip top. I really really believe the coconut oil could help you. I’ve had 3 bowel movements today myself! One at 5 am, 9 am and 9 pm. Although this isn’t typical every day, I do average at least one, sometimes 2. Please, oh please try it. I would also add some magnesium citrate to your supplements, at least 400 mg/day. I believe in this as well. And some Vitamin C. Those 3 things with some cod liver oil, should do the trick. I think these days, supplements are really important, especially for someone with issues, like you and me:) Start today with 1 teaspoon of coco oil and up it with 1 teaspoon every 5 days or so, until you get to 2 or 3 tablespoons. Okay???? Lisa, do you eat all of your coconut oil in one sitting? One tablespoon at each meal? Please advise when you can. Thanks. Hi Jeff! I would just space it out over the day. Do what works best for you though. And I’ve since decreased my intake to 1-2 tbsp. You’ve just got to test it out and figure out what your body needs. Hi Lisa, I have stomach problems big time, and a diabetic, and high bp and high cholesterol. Do you think it will help me? I took a teaspoon today and it did make my stomach turn some. But I have nerve problems in my hands, cannot go to the bathroom but every 2 or 3 days, and I blow up like a basketball. Please tell me this will help with hand dabeties and bp and cholesterol. I look forward to hearing from you. Jackie. p.s. have had frozen shoulder for 3 years now. I must first say I’m not a doctor and only have my own personal experience and education to offer. That being said, I would also say I think you need much more than some coconut oil. What else are you putting into your body? I would immediately cease all refined sugar, all processed food, all vegetable oils. I would immediately increase intake of healthy fats, organic fruits and vegetables, grass fed meats and filtered water. I have it on it’s own, but you can ingest it any way you like! Also I would usually have it in the morning but this is up to you too! Hope all is well with you. Hi Lisa, do you chew it first or just swallow a spoonful? Hi Malinda! I just swallow it and chase it with water. I don’t find it the most pleasant thing but I believe in it’s goodness.